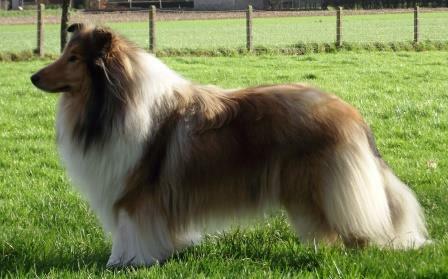 Rough Collies "Of Montegue Meadows"
1st Excellent + CAC + "BELGIAN" Champion !! 1st Excellent + CACL + "LUXEMBURG" Champion !! 1st Excellent + CAC + BOB + "BELGIAN" Champion !! 1st Excellent + CAC -> This is her 3th CAC !! 1st Excellent + CAC + BOS + "BELGIAN Champion" !! 1st Excellent + CAC + CACIB + BOB + "INTERNATIONAL Champion" !! 1st Excellent + Best Junior Dog + "BELGIAN Junior Champion 2013" !! 1st Excellent + Best Junior Dog + "LUXEMBURG Junior Champion 2013" !! 1st Excellent + CAC + BOB -> This is his 3th CAC !! 1st Excellent + CAC + CACIB + BOS + "BELGIAN Champion"!! 1st Excellent + CAC + CACIB + BOB + Belgian Champion + International Champion ! !